Eric Whitacre is one of the most popular and performed composers of our time, a distinguished conductor, broadcaster and public speaker. His first album as both composer and conductor on Decca/Universal, Light & Gold, won a Grammy in 2012, reaped unanimous five star reviews and became the no. 1 classical album in the US and UK charts within a week of release. 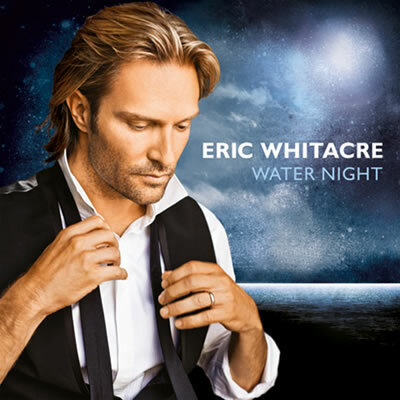 His second album, Water Night, was released in April 2012 and debuted at #1 in the iTunes and Billboard classical charts. It features seven world premiere recordings and includes performances from his professional choir, the Eric Whitacre Singers, the London Symphony Orchestra, Julian Lloyd Webber and Hila Plitmann. His compositions also feature on multiple other recordings made in Europe, North America and Australasia. Eric’s ground breaking Virtual Choir, Lux Aurumque, received over a million views on YouTube in just 2 months (now 3 million), featuring 185 singers from 12 different countries. Virtual Choir 2.0, Sleep, was released in April 2011 and involved over 2,000 voices from 58 countries. Virtual Choir 3, Water Night, received 3,746 videos from 73 counties and was launched at Lincoln Center, New York and revealed online in April 2012. He has written for the London Symphony Orchestra and Chorus, Chanticleer, Julian Lloyd Webber and the Philharmonia Orchestra, Berlin Rundfunkchor and The King’s Singers among others. His musical, Paradise Lost: Shadows and Wings, won both the ASCAP Harold Arlen award and the Richard Rodgers Award, and earned 10 nominations at the Los Angeles Stage Alliance Ovation Awards. A versatile musician, he has also worked with legendary film composer, Hans Zimmer, co-writing the Mermaid Theme for Pirates of the Caribbean: On Stranger Tides. In 2011, Eric was one of the judges and conducted the winning entries of the Abbey Road 80th Anniversary Anthem Competition, recording the London Symphony Orchestra and his professional choir, the Eric Whitacre Singers, in Abbey Road Studio 1. His latest initiative, Soaring Leap, is a series of dynamic workshops for singers, instrumentalists, conductors and composers to read, rehearse and perform his works, digging deep into the poetry and exploring compositional tools. Guest speakers, other composers and musicians make regular appearances at Soaring Leap events. An exceptional orator, he was honoured to address the U.N. Leaders programme and give a TEDTalk in March 2011 which earned the first full standing ovation of the conference. He has addressed audiences at Duke & Harvard, The Economist, Seoul Digital Forum & JCDA Conference in Tokyo. 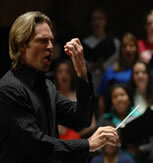 Many of Eric Whitacre’s works have entered the standard choral and symphonic repertories and have become the subject of scholarly works and doctoral dissertations. Eric has received composition awards from the Barlow International Composition Competition, the ACDA and the American Composers Forum. In 2001, he became the youngest recipient ever awarded the coveted Raymond C. Brock commission by the ACDA, despite coming to classical music relatively late in life when he joined his college choir in Las Vegas. The first piece he ever performed Mozart’s Requiem – changed his life. Inspired to compose, his first piece Go, Lovely Rose, was completed at the age of 21. He went on to the Juilliard School (New York), earned his Master of Music degree studying with Pulitzer Prize and Oscar-winning composer, John Corigliano. 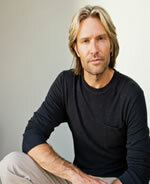 Eric Whitacre is currently Composer in Residence at Sidney Sussex College, Cambridge University, UK.